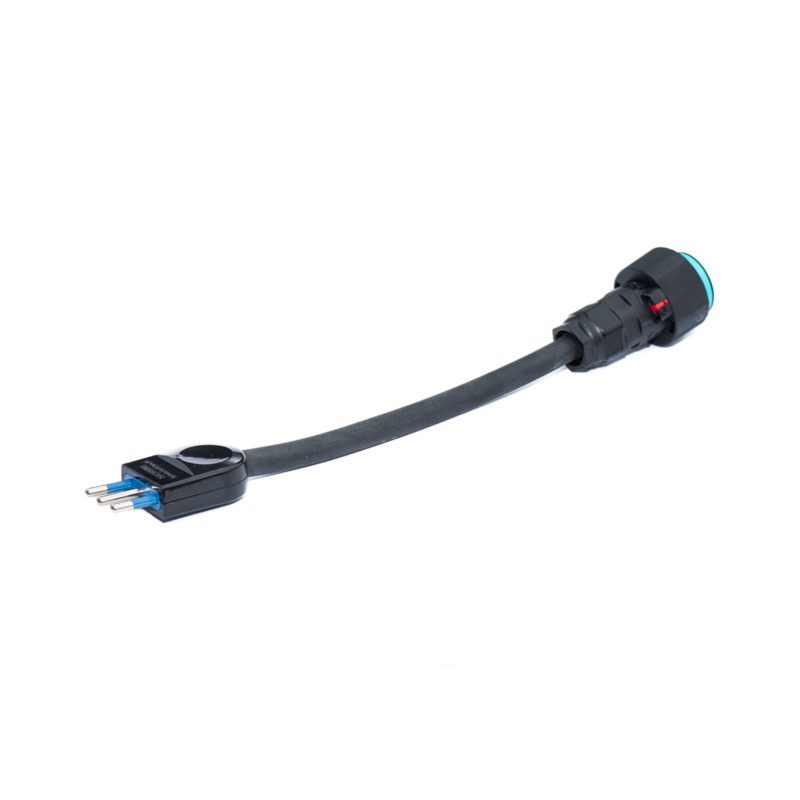 Maximise charging speed and flexibility with our hand-made, fully tested and certified charging cables for your Universal Mobile Connector (UMC). Wide choice of adaptors. Always able to charge. 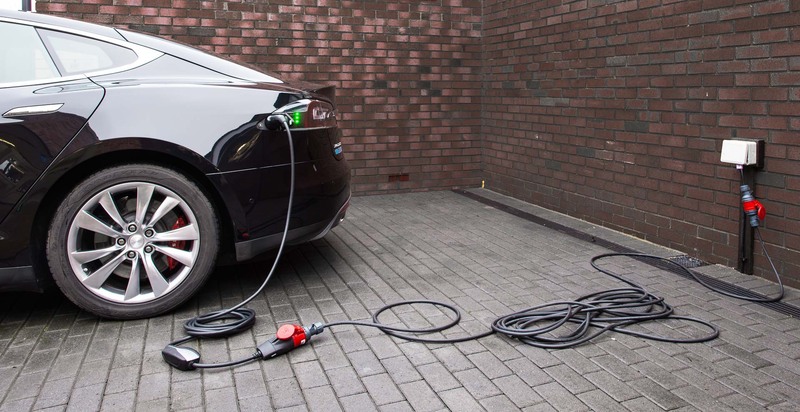 The one-stop solution to providing ultimate connection flexibility when it comes to using your Tesla EV UMC to recharge your Model S or Model X whilst on the move. Based on three simple components, our charging system allows you to buy and take just what you need on your travels, reducing clutter and unused cables and adaptors. You’ll only ever need one extension lead, regardless of power source. Both single-phase and three-phase compatible, you no longer need to take a plethora of charging leads. 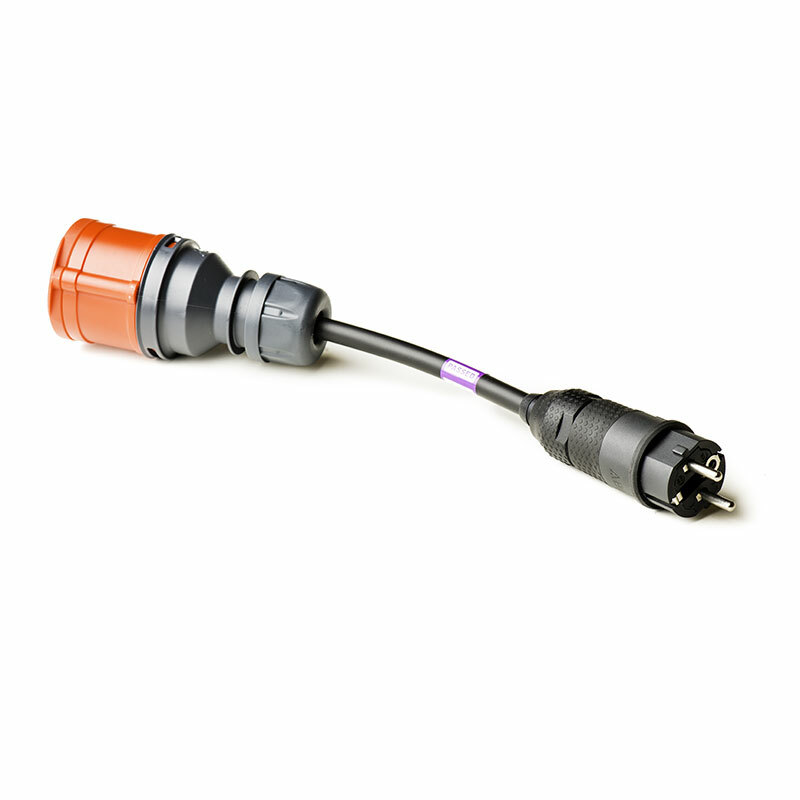 We now also offer a compact plug-in system providing smaller, easier to use and fully waterproof connectors! 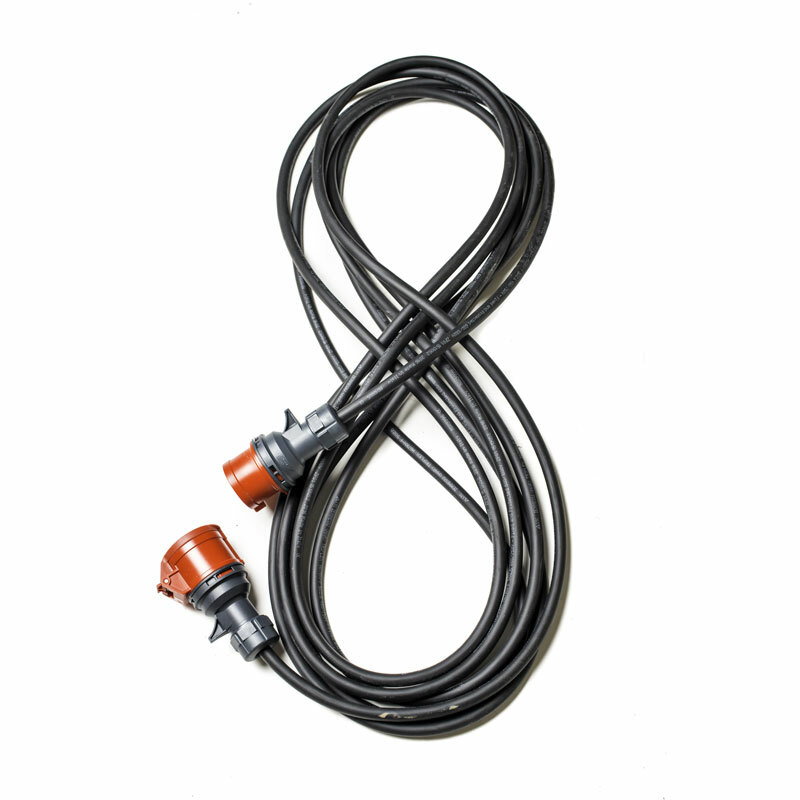 16-amp three-phase extension lead compatible with all our adaptors. 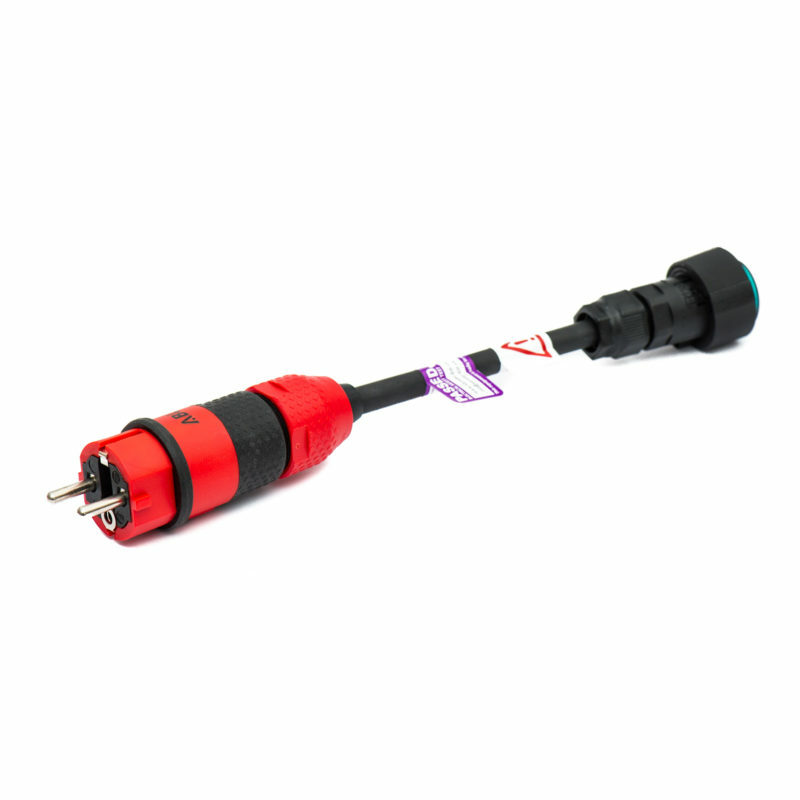 Using the Tesla UMC’s red adaptor enables the use of our charging cable system. 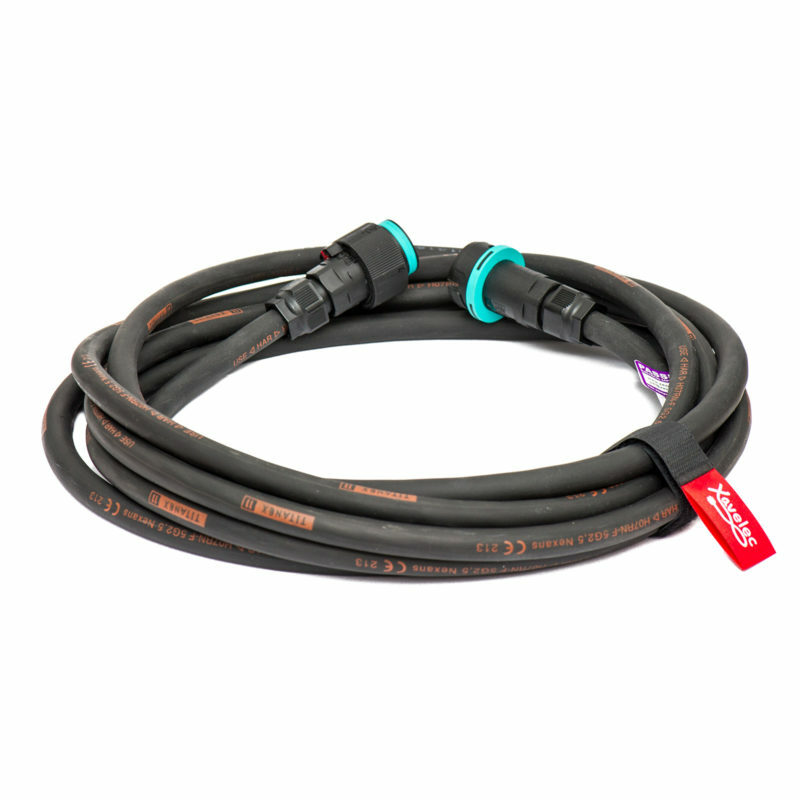 All our adaptors and leads use the highest quality Nexans Titanex H07RN-F rubber cable, designed for its ruggedness and resistance to abrasion and liquids including oils and of course water. It remains extremely flexible, even in sub-zero arctic temperatures. 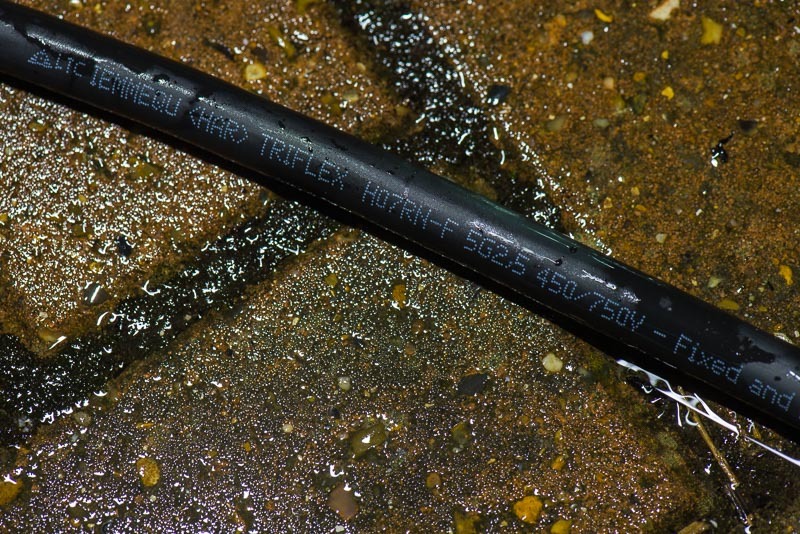 The specification of this cable is not to be confused with cheaper PVC-coated extension leads which are far less resistant to the elements and deteriorate far more rapidly through general wear and tear. We have two ranges of connectors; industry-standard IEC 60309 connectors which are IP44 rated like the Tesla UMC, and a compact, fully waterproof IP68 range of connectors. The former ones are splash resistant and are fine to be left in the rain. The compact range give extra peace of mind and has no problems left submerged in water, but please remember that the UMC is not fully waterproof so steps must be taken to keep it out of deep standing water. 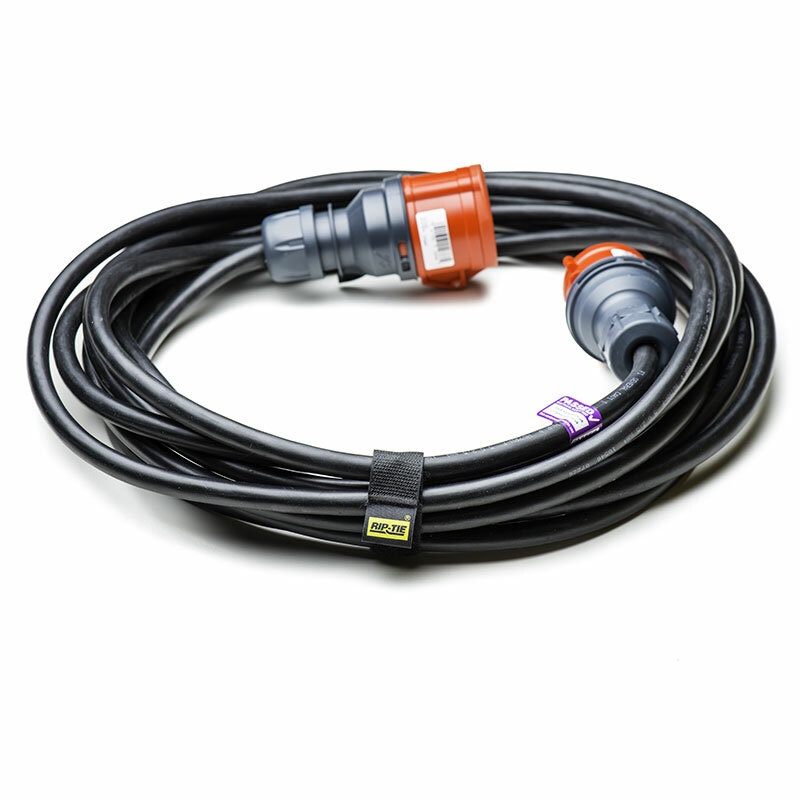 All our extension leads support 16A 3-phase charging which allows the UMC to operate at its maximum potential, providing 3-phase power is available. Where 3-phase isn’t available, 4kW is available via 16A single-phase charging. The video to the right shows three-phase charging at 16A per phase. The total power peaks at 12kW, this is due to the relatively high voltage of around 240V AC. You can see that this tends to drop a bit once charging starts. A lower quality / smaller cross-section cable would provide a bigger voltage drop which in turn would slow down the effective charging power and charging speed. 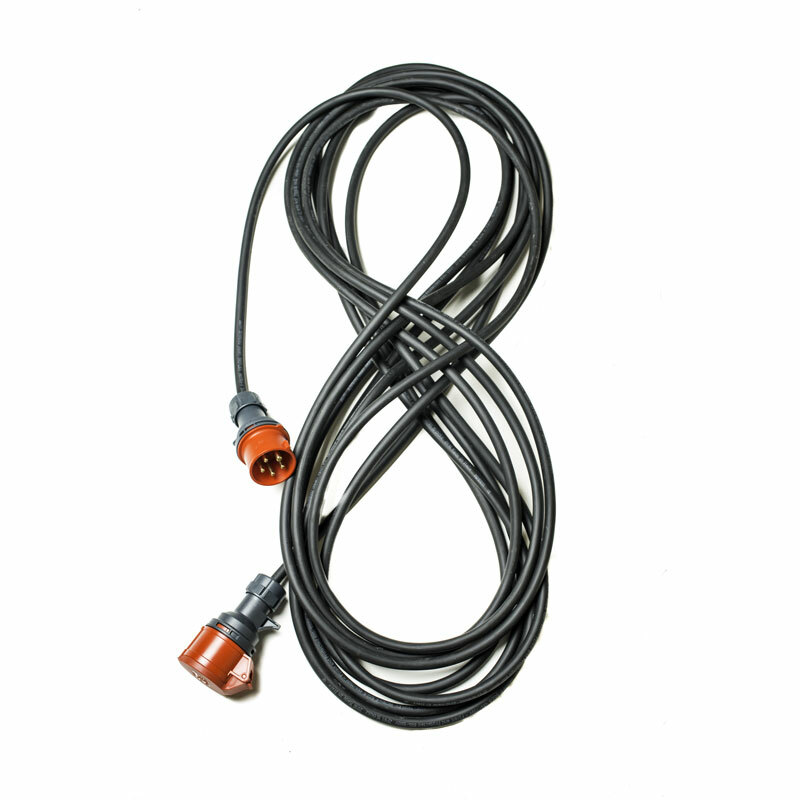 As a result, the car would interpret this voltage drop as increased resistance and to prevent excessive heat build-up due to a sub-par cable, the car will automatically reduce the charge current from its nominal value. If this happens, you will have a notice message appear on the dash. 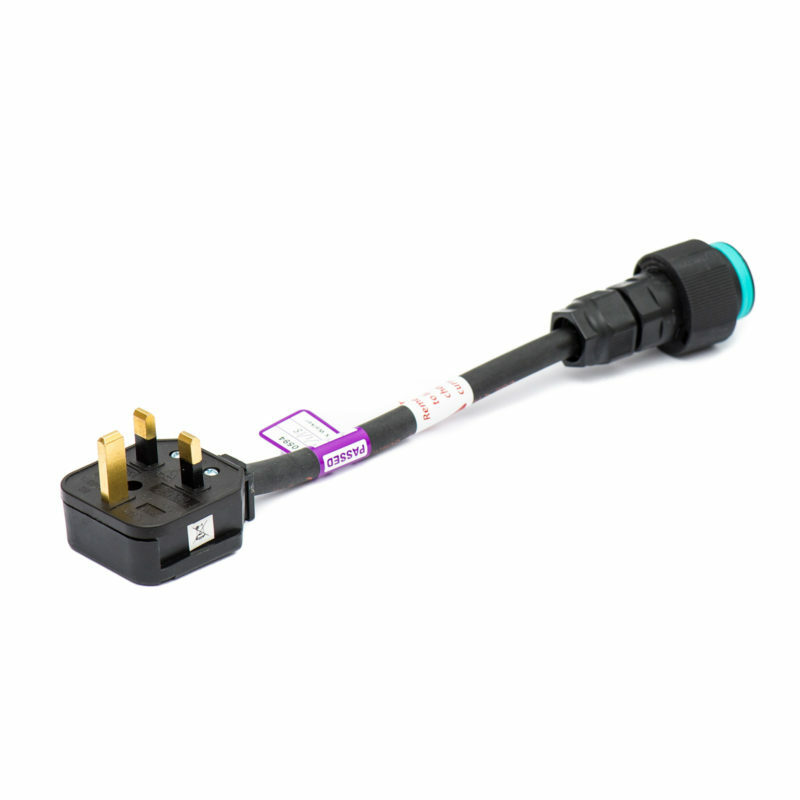 Note: if using one of our domestic adaptors such as the UK 13A plug adaptor or the European Schuko adaptor, you will have to reduce the charge current from 16A to a safe level. Most of the time, this will be around 10 amps. If you do not reduce the charge current, the circuit breaking providing power to the socket the UMC is plugged into is likely to trip, or in the case of the UK 13A plug adaptor, the fuse in the plug will blow. Charge current settings are geo-located so the car will remember the setting next time you plug in and charge at the same place. You should only have to do this the first time you charge at a new location, but it’s good practice to check. Recent firmware allows you to manually reduce the charging current before charging starts which is a good thing! 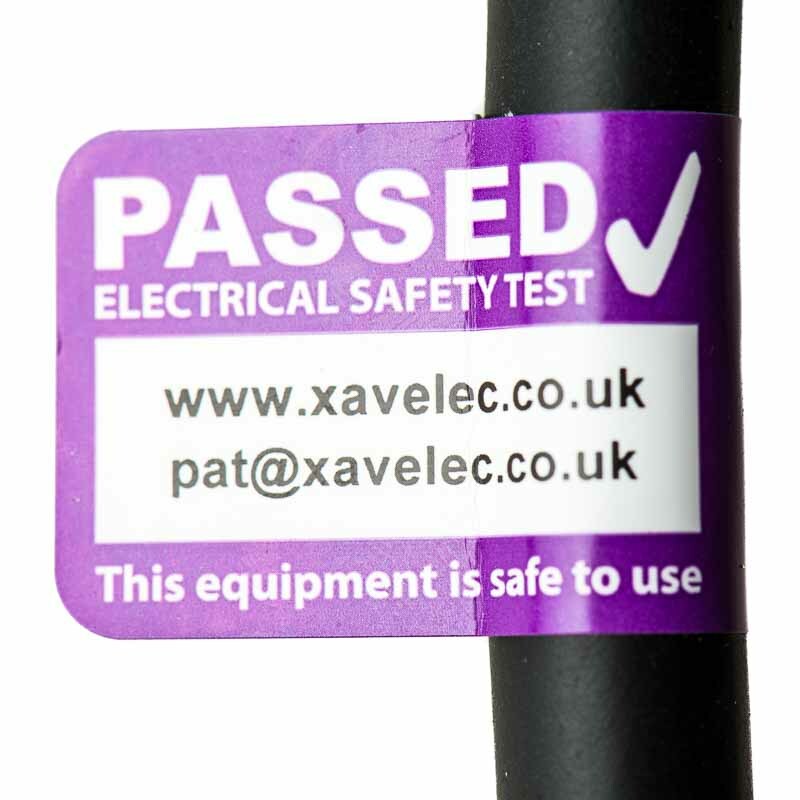 All our extension leads and adaptors are fully tested and PAT certified. This not only gives you peace of mind, but also can also provide reassurance to any staff who insist any electrical equipment plugged into their facilities has to be fully PAT approved. 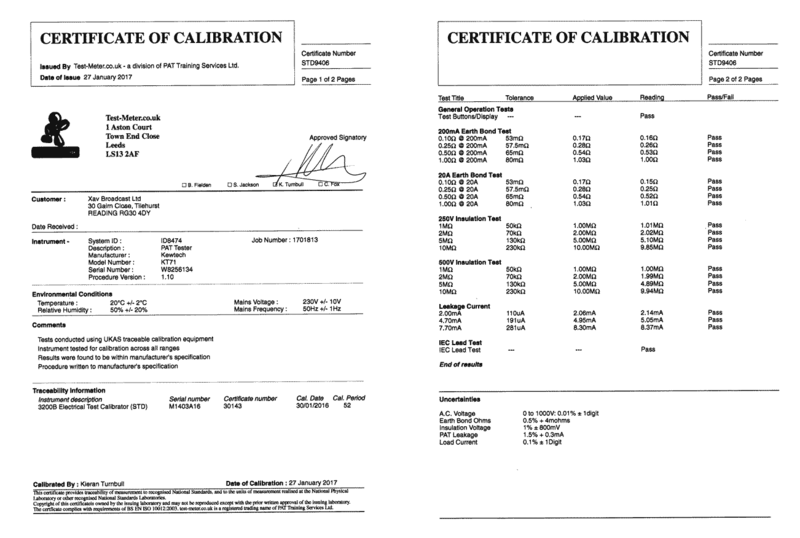 Our testing is performed with our calibrated Kewtech PAT equipment which ensures there are no current leakages and every conductor cable presents sufficiently high insulation resistance beyond the high charging currents used in normal operation. Each cable and adaptor will have a unique Appliance ID number and the individual test result for each appliance will be provided both as a PDF for your records and a laminated, rain-resistant A4 printout you can keep in the car to show to any official or staff member prior to plugging in if required. Our wide range of adaptors enable you to charge just about anywhere in the UK and across continental Europe. 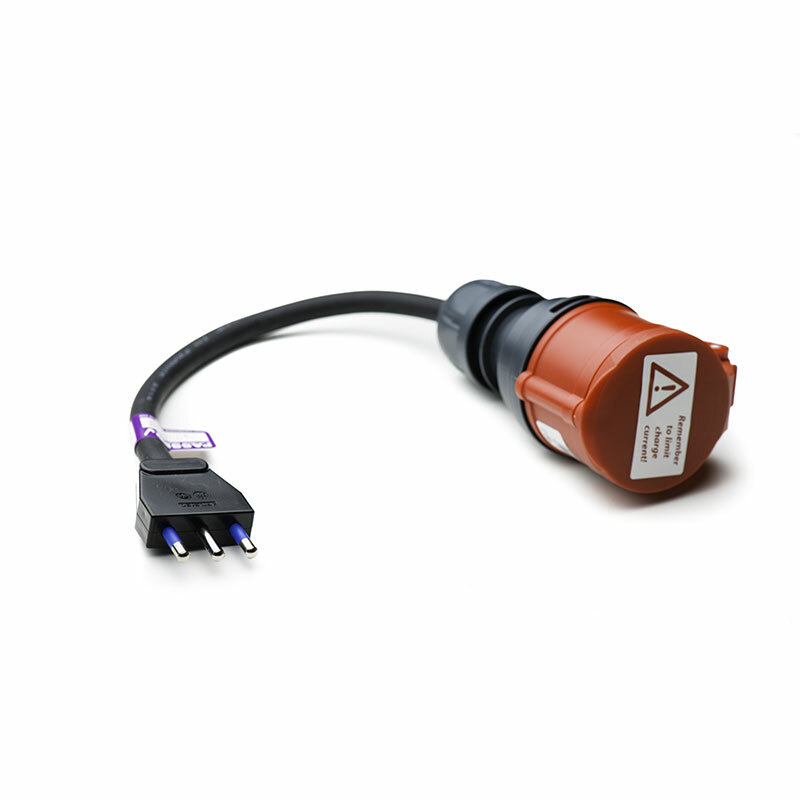 Furthermore, all of our adaptors are available in both Standard and Compact versions. Charge in the UK with our UK 13A plug adaptor. Charge in continental Europe with our Schuko adaptor. 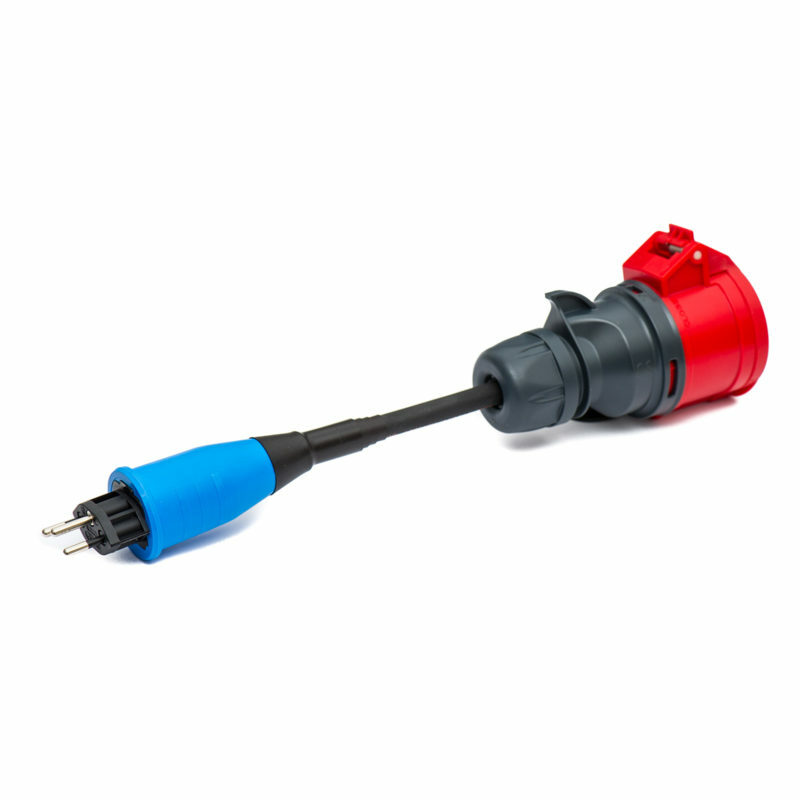 Charge in France, regardless of polarity wiring with our phase inversion adaptor. Charge at caravan, camping sites and marinas where 16A single-phase blue sockets are common. Charge from more specialised sockets such as the French three-phase “Plexo”, 16A and 10A Swiss three-phase, etc. When only an indoor socket is available, don’t let the letterbox defeat your cable route – our Compact range of adaptors allows easy passage through small spaces. Extend the distance between the power source and UMC using our range of 16A three-phase extension leads. 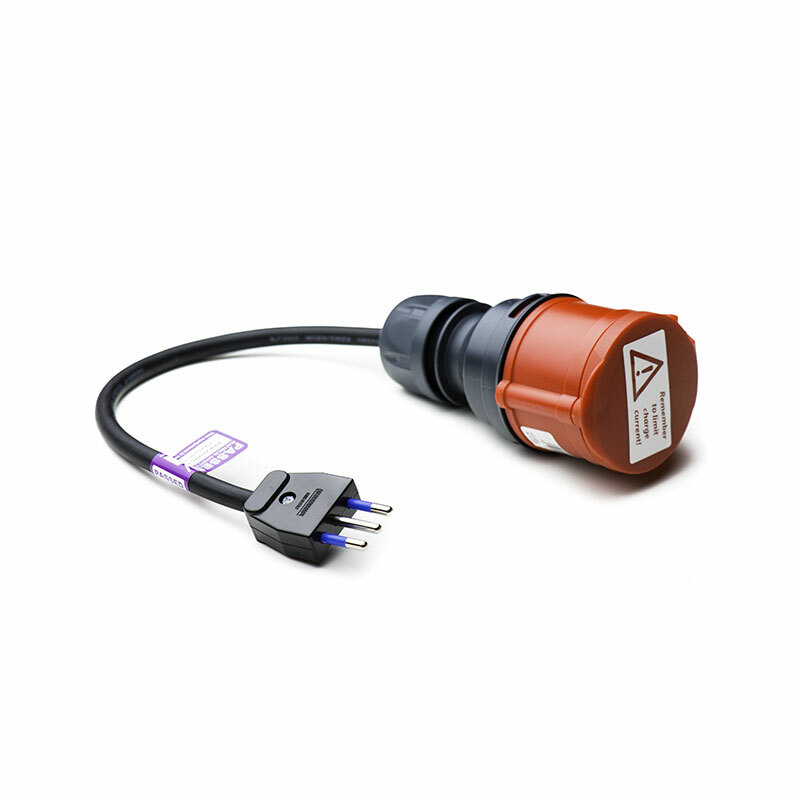 The three-phase 16A capacity ensures it’s the only extension lead you’ll need to use with the UMC and charge at the maximum available speed, regardless of the type of power socket. 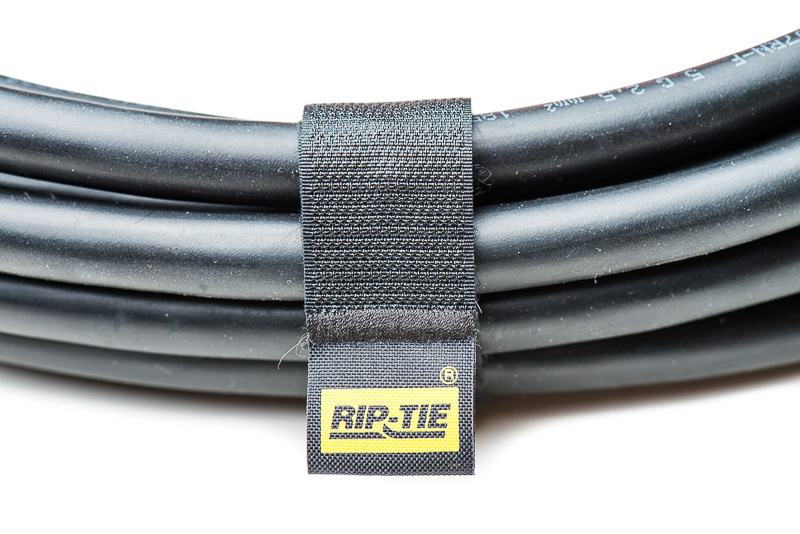 The modular approach also allows you to combine a several leads ensuring you’re never defeated by an obstacle or length. For example, if a 16A single-phase blue socket is available in a workshop, but you want to keep the workshop locked and use the letterbox, you can combine the 16A blue socket adaptor with a 5 metre extension lead to reach the letterbox, then insert the letterbox adaptor followed by another short lead to reach the UMC. It’s a simple mix and match approach allowing you to charge virtually anywhere. Note: we recommend you do not exceed a total length of 30 metres to minimise any potential voltage drop. 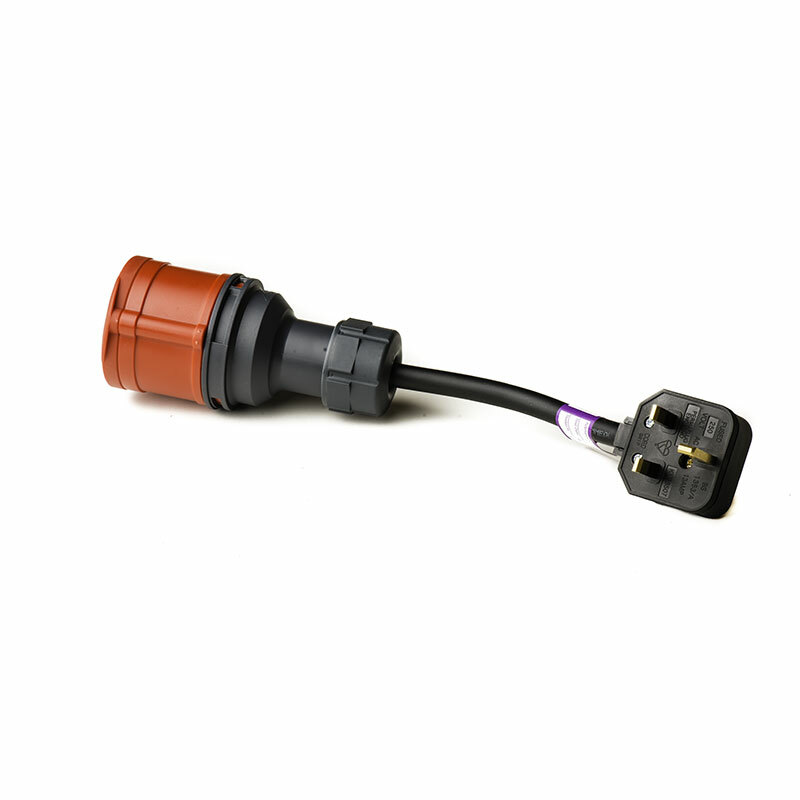 Our range of three-phase extension leads for use with our charging system can be found here. We also have 32A single-phase extension leads and normal 13A UK extension leads.